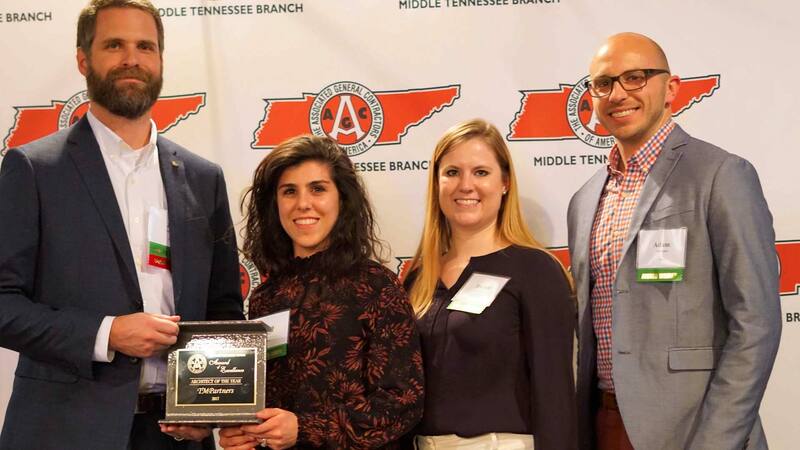 TMP was recently honored with the “Architect of the Year” award from the middle Tennessee chapter of the Associated General Contractors (AGC). This marks the fifth time in as many years that TMP has received this high honor. TMP takes great pride in receiving this award as it is selected directly by members of the construction industry. Over our 40-year history in Nashville, we have continued to value the strong relationships we have built with numerous contractors, and we look forward to furthering those relationships in the years to come. TMP is a proud member of the Associated General Contractors of Tennessee, Middle Tennessee Branch.